Suzanne Lye, PhD, is an Assistant Professor in the Department of Classics at the College of Arts and Sciences at the University of North Carolina at Chapel Hill. Her interests include Homer and Homeric Reception, Greek literature and culture, mythology, and ancient religion and magic. On the exhibition’s final day, join Peter Nisbet, Deputy Director for Curatorial Affairs, for a final reflection on the captivating Cajal drawings and contemporary scientific images of The Beautiful Brain. Santiago Ramón y Cajal, calyces of Held in the nucleus of the trapezoid body, 1934, ink and pencil on paper. 5 5/8 × 3 5/8 in. (14.2 × 9.1 cm). Courtesy of Instituto Cajal (CSIC). If you have been to the Museum in the past two weeks, you will have noticed that some of the galleries are closed. That is because, for the first time since 2011, we are reinstalling our permanent collection galleries. Ackland staff have already begun reconfiguring the galleries by tearing down and building walls and researching and writing new interpretive materials for the reopening of the galleries on Saturday, December 1, 2018. While many of our special exhibitions include artworks after 1950, the Museum feels strongly that there should be a dedicated space for these works in the permanent collection galleries. Two works included in the new installation are George Segal’s The Legend of Lot and Nam June Paik’s Eagle Eye. Segal’s piece was shown in the Ackland’s 2008 exhibition Circa 1958, which celebrated the Ackland’s fiftieth anniversary. Featured in the Ackland’s 2015 exhibition Testing, Testing, Paik’s Eagle Eye was inspired by an eye chart in an antique store. African art is becoming a major programmatic emphasis at the Museum. This is due in no small part to the strength of the Art History Department and the increasing number of graduate students at UNC-Chapel Hill in this field, as well as some special acquisition opportunities. The reinstallation will offer much more space and prominence to our African art collection. It will also have a special wall for temporary installations with loans from private collections. The first special installation will display a group of Nigerian Ikenga figures from the distinguished collection of Rhonda Wilkerson, a former UNC professor. Of the Museum’s 18,000 works of art, the majority are works on paper. The reinstallation will offer a more flexible space for works on paper. Currently, the Museum features a rotating series of installations titled Focus on the Peck Collection, which highlights works from the 2017-Peck gift along with other works in the permanent collection. The reinstallation will also allow the Museum to include rotating installations of prints, drawings, and photographs for European and American art from about 1900 to the present. Not only is this an opportunity to display work of art that have not been on view frequently; it is also an opportunity to highlight our conservation efforts. An example of this can be seen in Charles-François Daubigny’s Pond at Corbigny (L’Etang de Corbigny). Look closely at the differences in the colors and richness of details in the below images. Our hope in reinstalling the permanent collection galleries is that you will reexamine old gems in new contexts, reimagine our collection strengths, and discover new favorites that encourage you to look close and think far. Genius is looking at things in an unhabitual way. Work in areas where you are unsure, in places you’ve not been before. I love the work that I do in the Ackland’s education department, especially learning about specific works of art, artists, and art-making techniques and then finding ways to share this information with others—whether with our volunteer docents, K12 students and teachers, or community groups visiting the Museum. Often, I find inspiration from one or two pieces within an exhibition, and our current show, Birthday Presents, is no exception! This exhibition showcases major works of art that have been donated or promised by generous friends and supporters, specifically honoring the Museum’s sixtieth anniversary. Over the past month, I’ve been reading about an artist that I did not know much about, Sister Corita Kent (American, 1918 – 1986). Corita was an artist, educator, and advocate for social justice. At eighteen, she entered the Immaculate Heart of Mary religious order, eventually teaching in the art department at Immaculate Heart College in Los Angeles for twenty-seven years (1941 – 1968). Often including advertising images, song lyrics, and literature, her prints of the 1960s reflect the Pop Art style. Although I enjoy her art, I am most inspired by Corita’s teaching philosophy on how to see and experience the world. After reading Learning by Heart: Teachings to Free the Creative Spirit, which details the teaching methods developed by Corita Kent and her mentor, Sister Magdalen Mary at Immaculate Heart College in the 1950s and 60s, I found many similarities to my own personal life/work philosophy. I was also pleasantly surprised that many of her close looking and creative thinking “assignments” for her students echo gallery experiences that we currently use in the Museum! Now it’s time to put your “seeing muscles” to work! Try making your own viewfinder by cutting a rectangular hole out of a heavy piece of paper or cardboard. Hold the viewfinder in one hand and look closely at the details of an object (a shoe, a tree, a car, etc.). What details become more noticeable with your viewfinder? This tool, like a magnifying glass, can be used to see individual parts of a whole object. Go and explore the natural world or use inside at home or at the Ackland Art Museum! As I wrap up this post, I wanted to leave you with another looking assignment found in Learning by Heart. This one encourages the viewer to spend time looking closely and making detailed observation notes. Good luck and enjoy! When we give names to things, we often assume that everything that goes by that name is alike. Take something in nature—two dandelions—and look at them for five minutes. List how they are different from each other. Take two leaves from the same tree and do the same thing. Take two peas from the same pod and do the same thing. Nothing is the same. No thing is the same. Everything is itself and one of a kind. After doing this for a week, look back at these pairs of things again and make a new list. You will find more differences because you have been exercising your powers of observation. 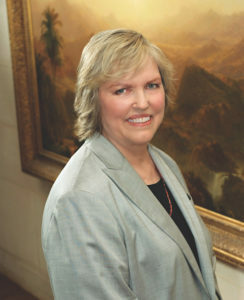 Jenny Marvel, the Head of School and Community Programs at the Ackland Art Museum, UNC-Chapel Hill, earned a BA in Art History at the University of North Texas (1998) and an MA in Historical Administration from Eastern Illinois University in 2001. Previous to her employment at the Ackland Art Museum, Jenny worked in a variety of education departments including The Children’s Museum of Indianapolis, The Museum of Flight (Seattle, WA), and the Dallas Museum of Art. Jenny’s experience includes developing, implementing, and assessing school and community tours, online resource materials for students and teachers, and cross-cultural and interdisciplinary teacher workshops. Kent, Corita and Jan Steward. Learning by Heart: Teachings to Free the Creative Spirit. (New York: Allworth Press, 2008), 21. As a specialist of eighteenth-century French art, my job has been particularly exciting and rewarding this semester because of the Ackland’s new exhibition, Becoming a Woman in the Age of Enlightenment: French Art from the Horvitz Collection. This installation epitomizes so many of my research interests, including the work of women artists, collectors and collecting, drawing techniques, amateurism, and display of works on paper. Some of my favorite pieces in the exhibition—the ones that I keep returning to over and over again—are the pastel portraits. The velvety texture and rich colors of these works drew me in immediately, but their contradictory classification and contested status in the eighteenth century keeps me coming back for more. From a curatorial perspective, chalk pastel is fascinating because it occupies a place somewhere between painting and drawing. In the eighteenth century, pastels were considered a form of painting, comparable to oil. In 1701, Joseph Vivien (1657–1734) was the first artist accepted to the French Académie as a “painter in pastel.” The vibrant colors, high degree of finish, and size of pastels make them similar to paintings. However, works in pastel are done on paper and are extremely fragile. Like drawings, pastels are light sensitive and need to be stored in the dark most of the time (which makes it even more thrilling that we have eight on view at the Ackland right now). Anyone who has worked with chalk pastels knows that keeping the medium adhered to the paper is also a problem. Pastel is crumbly and dusty; it wants to lift off its support, especially when moved or jostled. Many strategies for fixing pastel to paper were invented in the eighteenth century. Chalk pastel is made of powdered pigment and a binder, such as gum arabic, then formed into sticks. These pastel sticks can be applied directly to paper as a dry medium or mixed with water and applied with a brush. Pastel became popular in eighteenth-century France, especially for portraiture, because of its ability to mimic the tones and texture of skin, hair, and clothing. Gault de Saint-Germain’s Portrait of a Boy demonstrates how different colors of pastel were blended or “stumped” (sometimes also called “sweetened”) to create the luminous skin of the young man’s face. The powdery surface of this work reflects diffuse light off the facets of tiny particles of pigment, creating a sense of white light and a velvety texture. Although both men and women artists used pastel, the medium came to be considered “feminine” because it relied on surface attributes such as color and shading, rather than the more masculine-associated line and structure, to define subject matter. Social critics also linked pastel to women’s cosmetics because of its physical similarity to powered rouge. While there was wide popular appeal for pastels in eighteenth-century France, this comparison emphasized the perceived artificiality and delicacy of the medium in the minds of its critics. The pastel works in Becoming a Woman in the Age of Enlightenment show a range of techniques, including blending and the use of mixed media, and because they were never varnished, these pieces have retained their original brilliance. I encourage you to take the opportunity to view these pastels before they return to the dark to rest. medium archival digital photograph on Hahnemuhle Paper. 2016.6. Perhaps my favorite part of my job is teaching and learning about these diverse objects from multiple perspectives. Teaching in the galleries, I regularly engage in lively discussion with students and faculty; in the Study Gallery, I get to put some of those conversations on the wall. The artwork in the Study Gallery aligns with course objectives from all corners of the University, and its organization often eschews the traditional display categories of country or chronology. I work closely with faculty to determine which works of art will enhance their course and its learning goals. The art might illuminate a cultural context, or push students to consider a familiar concept from a new perspective. Works of art may develop new competencies, of empathy or visual literacy for example, or might be a platform for further research, reflection, and creative response. With two eight-week installations per semester, there’s always something new to see and consider on view. This semester is no exception. In our first rotation, for example, graduate students in the Masters of Arts in Teaching (MAT) program visited the Ackland’s Study Gallery on multiple occasions as they investigated experiential learning. Students examined the different experiences depicted in the artwork and reflected upon their own experiences of looking at and talking about art. As students looked repeatedly, they evaluate the concepts that define experiential learning and how they relate to their work in the classroom. about issues of identity. Graduate students in musicology explored the influence of Russian refugees on global artistic production in the wake of the Revolution in 1917. This last course coincided with a graduate-organized conference, and their scholarship was accessible in the gallery. Anyone of these Study Gallery installations is engaging on its own, but I also love the challenge of figuring out the ways in which these separate courses are in dialogue with one another. This semester, the theme of how we form identities, as individuals and as nations, is an undercurrent. In what ways do both the buildings around us and the sports teams we root for shape our sense of self in relation to the world outside? How do we draw the boundaries of “otherness”? What are the roots of our faith in reason and logic? What role do we play in shaping our own identities? These are big, difficult questions, helped along by the experience of looking closely at what is sometimes a small and specific thing. For all visitors, the Study Gallery is a window into the classrooms at Carolina and an invitation to ask these questions on your own. I invite you to come to the Ackland’s second-floor Study Gallery. Look closely and think big. Pick up a syllabus. Discuss issues with a friend. The Study Gallery is for everyone!